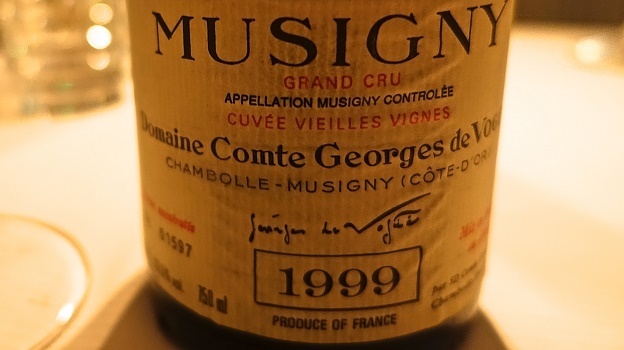 De Vogüé’s 1999 Musigny Vieilles Vignes remains shockingly young. Dark red plum, raspberry, lavender, rose petal, spices and leather are some of the many notes that unfold in a dramatic, pulsating Burgundy endowed with magnificent purity. The flavors are rich and bold to the core, with more than enough acidity and overall structure to support another 20 years of exceptional drinking. With time in the glass, the 1999 keeps getting better and better. What a pleasure it is to drink this bottle with a dear friend. Readers who can wait a few more years will be rewarded; the 1999 Musigny is spectacular. 97/Drinking window: 2019-2029.